Test Full Production Systems without Touching Production Data! Where to Begin, How to Begin? When developers need to start playing with new technologies, or testing against requirements, they can’t just begin. Setting up in preparation for a new deployment requires both time and effort: Machines, OS versions, frameworks… It all needs to be arranged, provisioned and/or reserved. This can take much longer than the actual test, and often yields a much higher error rate. And while real data may be available, its not always usable. The problem is more acute in demo scenarios, since the time to set it up is dictated by a client. The environment also has to look like a production environment, and act like a production environment, but who has time to build a production environment over and over again? At a minimum it requires: provisioning a new environment, installing and setting up the software, loading it with meaningful data for the customer, scheduling the demo and sandbox playground, and then deactivating the environment and deleting the data. 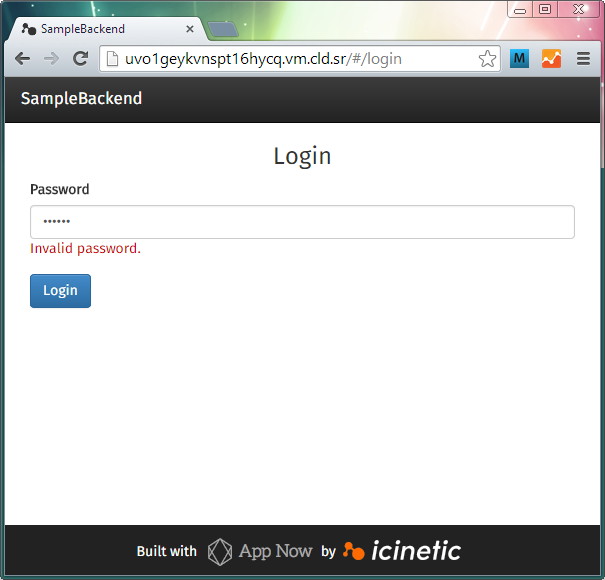 To solve this problem, Cloudshare and Icinetic App Now integrated to allows backends to be quickly created and deployed from Icinetic App Now to Cloudshare environments. Environments are set up, and applications are installed and provisioned. The data is in the app, imported to the cloud from CSV or Excel files. The user then has a fully functional app. Watch a video of this example in action here. 1. Log in to App Now. It is free to use. You can create an account or log in using your Google, Facebook, Github or Twitter account credentials. 2. Define a structural model for your backend. You can use the textual DSL editor or the projection one. The easiest way is to start with the sample model provided or by importing metadata from Excel files in tabular form. 3. Press the button Publish. 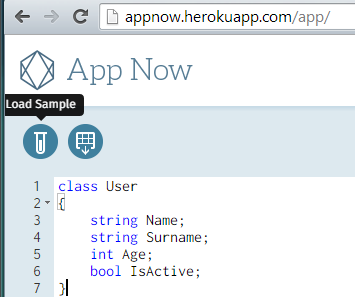 App Now generates a MongoDB + NodeJS backend deployable in cloud environments. 4. 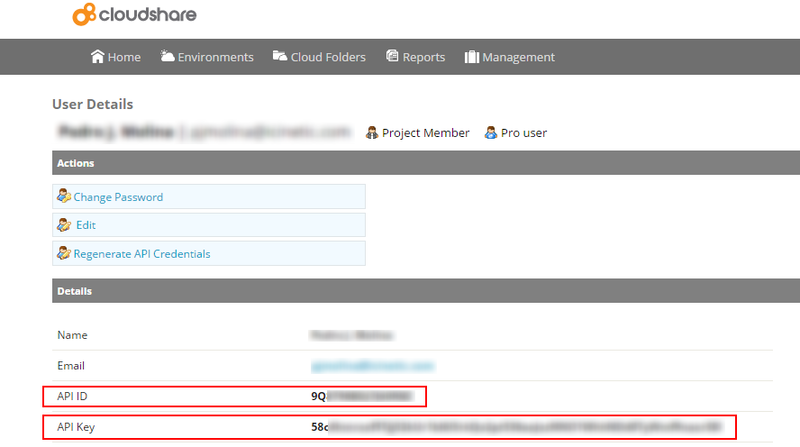 Select Cloudshare as target for deployment and provide your Cloudshare account credentials. 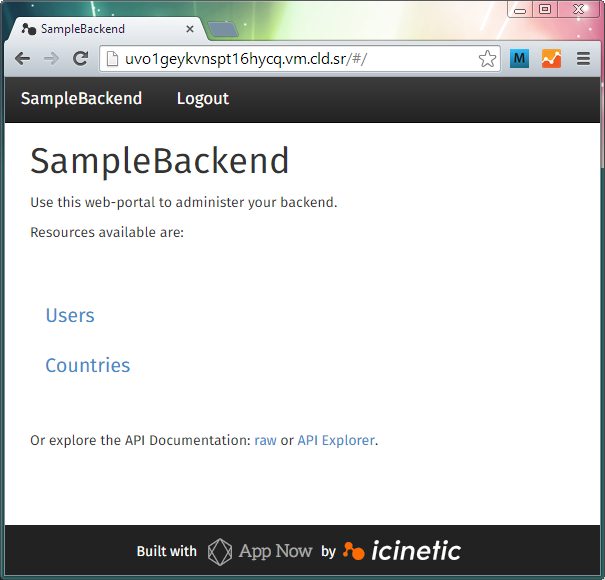 AppNow will deploy the backend into your Cloudshare account. If you do not have a Cloudshare account follow this link (http://cloudshare.com/node/468 ) to create an evaluation account and retrieve your AppId and AppKey credentials. 5. Press the Go button and wait for a few seconds. Your app is being generated, the environment is created and deployed. At the end of the process, a link to access the environment will appear which can be shared with anyone who wants to access the demo. 6. Log into the app and upload (from Excel or CSV files) or create your data online.